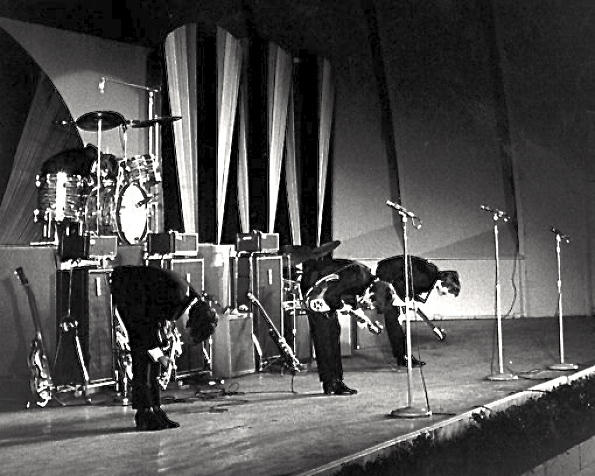 Culling bits and pieces… and even whole songs… out of (mostly) the latter part of the Beatles catalog, George Martin and his son Giles put together what Rolling Stone called “the sweet side of Abbey Road extended to 78 minutes”. 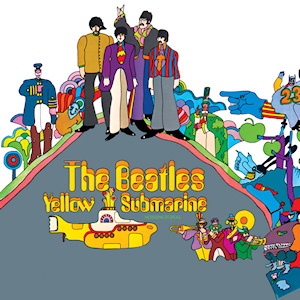 The tracks were all remastered from the original Beatles master tapes and sound fantastic! Full tracks were teased apart, sliced and diced and cut and pasted back into very familiar yet distinctly different versions of Beatles classics. The album starts with an ethereal version of Because with just vocals and moves on from there. Highlights for me were the original impetus for the album; mashed up versions of Within You Without You & Tomorrow Never Knows, a high energy mashup of Drive My Car/What You’re Doing and The Word and a beautiful rendition of the While My Guitar Gently Weeps demo with the extra verse. 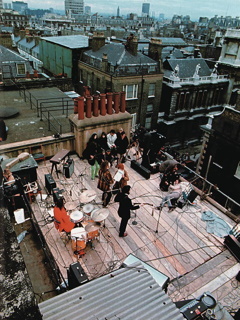 There were some surprises… inclusions of some of the more trivial Beatles tunes like Glass Onion and Being For The Benefit Of Mr Kite while omitting the majority of pre-Rubber Soul material. There are no drastic changes here, nothing really mind blowing. the mash-up novelty actually wears off pretty fast leaving you singing along to old favorites. If listening to Love taught me anything it was just how truly outstanding the original Beatles recordings were. 31 years ago today I embarked on the longest music free period of my entire life. The occasion was my induction into the US Air Force basic training at Lackland Air Force Base near San Antonio Texas. Beginning on that day we were stripped of all our war worldly possessions (including Walkman and cassette tapes), given uniform clothing, shaved bald and reprogrammed. For the first few of those six weeks we were under constant supervision and training. As the days progressed we were given more and more latitude to carry out the orders and instructions we were given to the best of our abilities. When not being marched or made to stand perfectly still we were trained how to do everything from how to hold silverware how to fold t-shirts how to scrub toilets and how to shine shoes. At the halfway mark, we were presented a challenge: our training instructor would come to our dormitory first thing Saturday morning and do a full inspection. If all was in order we would be given a day of on base liberty to do with whatever we wished. Luckily, my flight held it together and we were granted a day off. We scattered to the four winds while remaining within the confines of the base. People went to movie theaters, played basketball, library books we read… and I found a stack of records at the community center. There was a moderate selection of LPs and, for an hour at a time, you could take an LP into a small closet sized room, drop a needle on to the well worn vinyl, and listen through provided headphones. I had never been the further from home at that time in my life and, in this oasis of scratchy vinyl and crappy headphones, that record made me feel and close again to my friends and family. but on that day it was!